Superfood Edit: 3 Nutrient Dense Foods That You Can Add To Your Smoothies AND Face Masks! If you’re a fitness enthusiast, you’ve probably heard the word superfood or matcha tea tossed around in the gym. We all know that some foods are richer in nutrients than others and we should consume more of them than others. They can be used in your everyday life to boost your health and in your beauty routine too. But what are these superfoods and why do you need them? Let’s find out! Superfoods are nutrient dense power packed foods that help your body get its required dose of vitamins and minerals. Superfoods are rich in antioxidants, the compounds that help our body fight free radicals to prevent cell damage and reduce oxidative stress. A lot of us have poor eating habits, let's face it most of us would pick a pizza over a salad any day. Getting your required nutrition has become harder than it was earlier and that’s where these superfoods play a huge role. While giving your body a nutrient boost, these superfoods also help you shed a few pounds in time for bikini season. Combine them with a balanced diet and regular exercise and you’ll be feeling better than ever in no time. How do superfoods help your body? While there’s no specific category known as superfoods carved out, some foods are more nutrient-rich than others. On a general comparison, these nutrient-packed foods can benefit many different aspects of your health. They come with a promise of better health, better skin, an immunity and energy boost and a whole lot of anti-ageing benefits. What are the kinds of superfoods? There are a lot of superfoods that you can find in the market, but let’s make things easy. In our fast-paced lives, foods that are easy to consume are going to be long-lasting additions to our routine. So we’ll talk about easy superfoods that you can consume/apply every day for better health and skin. 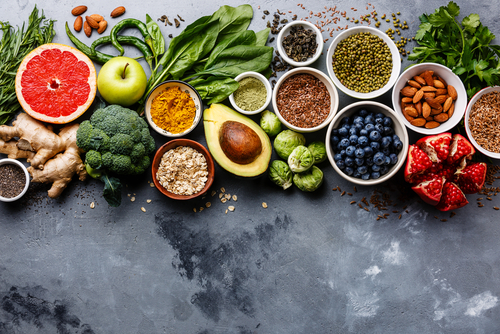 While there’s a long list of superfoods at your disposal, today we’ll talk about superfoods that you can add to your smoothies and face masks. Namely; Wheatgrass, Spirulina and Matcha Tea Powder. We suggest you add these 3 superfoods to your diet STAT. Spirulina is a blue-green coloured algae that are considered to be one of the most nutrient-rich foods on the planet. Gram for gram, spirulina is higher in protein content than red meat. It contains all of the essential fatty acids, vitamins, minerals and antioxidants your body needs. 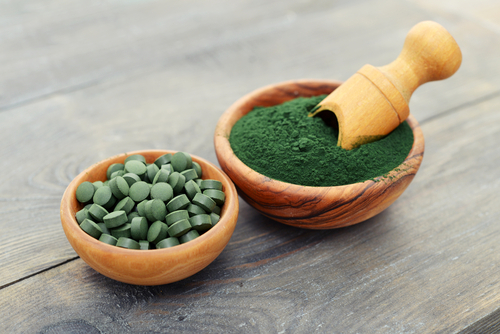 The health benefits of consuming spirulina are abundant! It’s very high in protein which makes it a weight-loss favourite. It helps combat oxidative stress, lowers blood pressure levels, boosts immunity, wards off allergies, fights inflammation and helps your body recover and repair quicker. It is one of the best ‘detox’ drinks you could make yourself. The easiest way to consume spirulina is by adding it to your salads and in your smoothies. 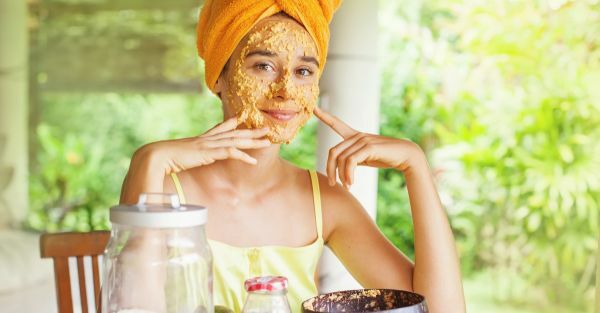 You can even make a power-packed face mask using spirulina. Add 1 tablespoon of spirulina powder to 1 tablespoon of honey and mix well. Add some yoghurt too. Apply the mixture to your face and leave it on for 20 minutes. It will leave your skin feeling hydrated, bright while fighting bacteria! High in nutrients and antioxidants, wheatgrass is an excellent source of many different vitamins and minerals. It is high in vitamins A, C and E and iron, magnesium, calcium and amino acids. Wheatgrass should definitely be on your list if you’re looking for an energy boost and increasing the iron, calcium content in your body. 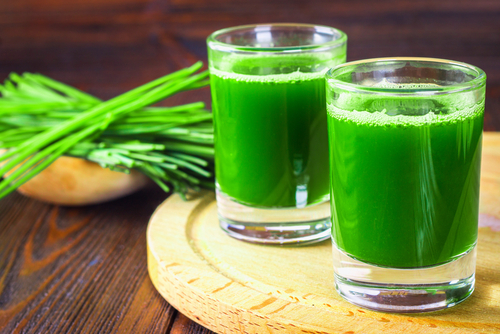 Wheatgrass is rich in chlorophyll is known to help promote weight loss, regulate blood sugar levels, alleviate inflammation and kill cancer-causing cells. It’s pretty easy to consume too, just add it to your smoothies or consume it as a supplement! Consumed for decades in Japanese culture, matcha green tea powder is made from the leaves of green tea. The miracle elixir is considered to be one of the best, purest form of green tea in the world. Matcha contains much more caffeine than your regular cuppa green tea. It gives you a sustained burst of energy that lasts 6-8 hours without the caffeine crash. It helps boost your metabolism by 40% and regulates blood sugar, increases your energy levels and makes you more alert. It promotes a sense of calm and while boosting memory and concentration. 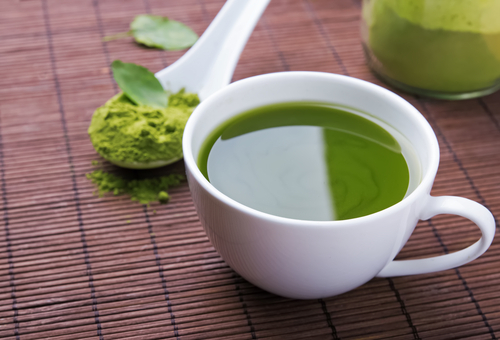 Because of its abilities to boost your metabolic rate, matcha tea aids in weight loss too. Try having a cup of matcha tea in the morning in place of your regular cuppa coffee and you’ll be able to feel the difference. You could add it to your smoothies too. 1 teaspoon of matcha green tea powder and one teaspoon of organic honey mixed together makes a potent face mask! Did you like our superfood edit? Do tell us if you’d like to know about more such superfoods!